A QUESTION OF POWER (1986) is a moving and informative documentary history of the nuclear power controversy and the U.S. antinuclear power movement. 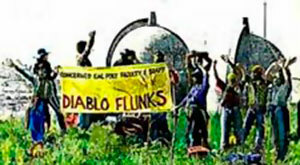 Narrated by Peter Coyote, the film focuses on 35 years of grassroots opposition to the “peaceful atom” in California, where the antinuclear power movement was born (in 1959-64 over the proposed Bodega Bay Atomic Park), and reached its peak in 1981 with the protests over the Diablo Canyon Nuclear Power Plant. The documentary combines inspirational portraits of nuclear opponents with authoritative testimony and investigative reporting. 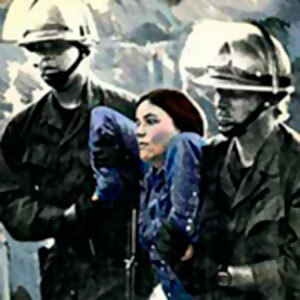 Activists and educators alike have referred to A QUESTION OF POWER as the definitive film history of the antinuclear power movement. 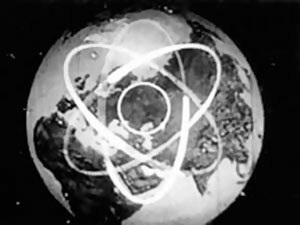 Filmed over five years by up to six camera crews, the film traces the history of nuclear power from Eisenhower’s “Atoms for Peace” (“this greatest of all destructive forces can be developed into a great boon for the development of mankind”) to the controversy over several Pacific Gas and Electric Company (PG&E) nuclear power plants. 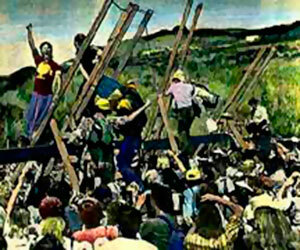 The first was the proposed Bodega Bay nuclear plant (to be built next to the San Andreas earthquake fault) that spawned a robust citizen’s movement that organized opposition to the proposed plant over six years and prevailed: PG&E abandoned the proposed site (now “a $5 million duck pond”) and the six-year grassroots struggle gave birth and inspiration to the antinuclear power movement nationwide. The film’s history continues with PG&E’s first nuclear power plant built on Humboldt Bay, California which was shut down after operating 13 years despite numerous safety problems and proximity to several active earthquake faults. The film also documents the first fatal nuclear accident at the SL-1 research reactor in Idaho, the historic Nuclear Safeguards Initiative (Proposition 15 in California) and the disastrous nuclear melt-down at the Three Mile Island Nuclear Power Plant in 1979. 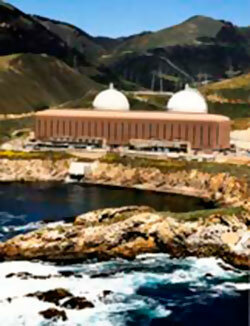 The main focus of the documentary is the Diablo Canyon Nuclear Power plant near San Luis Obispo (called “both the most studied and the most dangerous nuclear plant in the country”) and the dynamic, grassroots protest movement—spearheaded by the Abalone Alliance and the Mothers for Peace—that rallied to oppose the opening of the embattled nuclear plant. A QUESTION OF POWER takes us behind the scenes of the organizing meetings of the Abalone Alliance, to non-violence training, to the “back country” next to the nuclear plant, inside the plant with its hundreds of design flaws, and inside the Nuclear Regulatory Commission which was forced to withdraw the plant’s low-power license after the shocking revelation of the embarrassing design flaws. 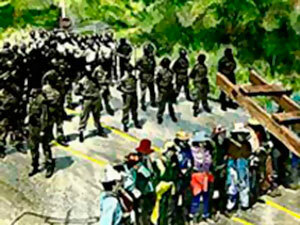 We see buses of anti-nuclear activists arriving to form a three week blockade at the Diablo Canyon gates in 1981, and hear musician Jackson Browne defending his civil disobedience at a San Luis Obispo courthouse after his arrest for trespassing at the blockade (“I consider my actions to be patriotic”). A QUESTION OF POWER was completed three weeks before the world’s worst nuclear accident at the Chernobyl Nuclear Power Plant in the Soviet Union, that sent a radioactive cloud over half the planet and killed thirty people within two weeks. The Ukraine Radiological Society estimates 2,500 deaths as a result of the nuclear accident. with antinuclear activists Clark and Jean Kluver. 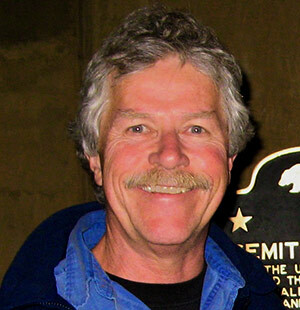 Rerecording mixer: Jeff Roth A QUESTION OF POWER was broadcast nationally on PBS from 1986 through 1989. It was also aired in England, France and Japan. 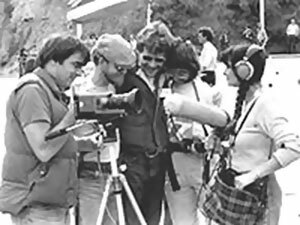 It was awarded fifteen awards from international film festivals, including San Francisco International, Chicago International, Philadelphia International, Columbus International, Houston International, and the International Film and TV Festival of New York.